The ‘gentle art’ (jujitsu – somtimes spelled jujutsu or jiu-jitsu) is, in part, build on the ideology of being able to adapt to the circumstances presented in the course of a combative encounter in order to achieve victory without directly meeting force against force. This guiding principle has been expanded beyond the scope of an individual combative encounter and has been applied the art itself. That is to say, the art of jujitsu – even traditional jujitsu has had to adapt in order avoid a “force on force” collision between the past and the present to ensure it’s applicability in the modern world. This evolution has taken us from classical schools of jujitsu, to Kodokan Judo, to an approach to jujitsu that is consisitant with the intent & principles of classical schools, while embracing the technical improvements and realities of the present day – the brainchild of Shihan Paul Arel, the Jukido school of Jujitsu. Things change. In fact, in the later part of the 19th century everything in Japan changed in a major way – including the extinction of the samurai and the relevance of the form of jujitsu that they practiced. Japan’s attempt to modernize in every way, including militarily, lead to a major clash between the past and the present. Despite being among the best warriors to ever walk the face of the earth, the samurai met their match with the advent of a modern military which waged war not with the use of swords or close range hand to hand combat but rather with the use of firearms and the ability to ensure large scale damage to an enemy at greater and greater distances. When met with this clash between past and present, there were two essential choices: (1) fight force on force with the inevitable(and necessary) change or (2) flexibly adapt in order to ensure long term survival, viability, and success. A young intellectual and student of classical jujitsu by the name of Jigoro Kano, understood the dilemma facing the art that he loved. Kano understood that in order for jujitsu to survive it needed to undergo some very radical changes. Kano’s assessment was that jujitsu; with a modification in approach (in terms of intent, technique, and public relations) could not only survive but also thrive in modern Japan and, eventually, the rest of the world. Kano began by viewing jujitsu in a larger context. 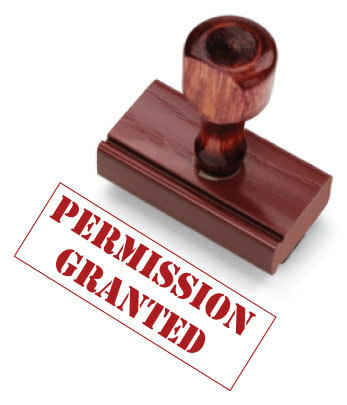 No longer was it to be viewed as a form of (outdated) battlefield combat but as an endeavor that all people (children, women, and men of all classes) could pursue in order to better themselves and society physically and mentally. In this vein he eventually decided to de-emphasize the term jujitsu (gentle art) in favor of the more encompassing judo, or gentle way. Today judo is considered it’s own art, separate from jujitsu. At that time, however, judo was seen as a new approach to the same art. The terms jujitsu (or jiu-jitsu) and judo were often used interchangeably referring to the same art (in early days, Kano’s art was also called Kano Jiu-Jitsu). Of course, Kano faced some resistance in these changes – but over time the majority of jujitsu schools merged into his school – the Kodokan. In fact, other arts, such as Gichin Funakoshi’s school of karate (Shotokan) adopted some of the same changes as it pertains to an academic approach to martial arts. The changes adopted by Kano Sensei were vast. Kano, being a professor, approached all changes academically. Among one of the most significant changes was the restructuring of the art to make it safe and enjoyable to practice. This lead to the development of ukemi waza or falling techniques. To many it is hard to believe that before Kano and his innovations there was not a universally accepted method or standard for teaching students how to fall. Safety for the person receiving the technique was jot a major priority in the classical schools – considering that the goal was to maim or kill the receiver. In many classical schools the person receiving the technique in practice was often injured and learned how to fall through trial and error. 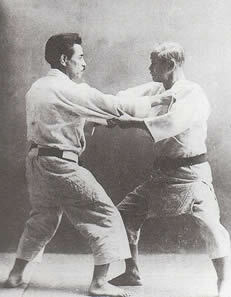 This safer approach was consistent in the new school of Judo, defined by one of Jigoro Kano’s two guiding principles – Jita Kyoei, or “mutual benefit and welfare.” The training uniform or “gi” was also an important innovation that encouraged not only new techniques and modes of practice but also safety. These innovations, combined with some technical modifications, allowed judo-ka (judo practitioners) to practice their techniques at full intensity and power, while still ensuring “mutual benefit and welfare.” The most dangerous techniques were either eliminated or reserved for practice through kata (formal exercises). Kano also devised an academic method of ranking students progress through a system of kyu & dan that were represented by colored belts. The kyu ranks were represented (over time) by variety of colored belts and a black belt symbolized the dan ranks. This system has been adopted almost universally in modern martial arts systems (gendai budo). This ranking system allowed students to track experience and expertise without the having to engage in actual combat (as in the classical schools). It also was a method of allowing students to set both short and long-term goals. Having a set of pre-determined markers motivated students in their ongoing progress while studying the art of judo. Again, the motivation was no longer simply a matter of day-to-day survival as it had been for the warriors who studied classical jujitsu. Under Kano’s vision, Judo evolved to have three distinct but complementary facets. 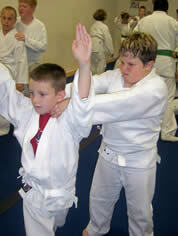 The first facet was Judo as a means of physical education & way of life. The second facet was Judo as an updated method of civilian self defense in the modern world. The third facet was a competitive method of training and sport. Due of the relative safety at which students could practice full speed, full power techniques in Judo, Kano included randori (freestyle practice) and shiai (randori as an actual competition) as the third facet of judo. In addition to randori as a means to test each student’s spirit of self-improvement and as a “laboratory” to test one’s techniques – Kano felt it was an important method of training in lieu of the reality of actual combat. Surely, Kano realized that randori did not encompass the entire scope of an actual combative encounter (all techniques designed to maim the attacker were eliminated). Nonetheless, he believed that the ability to match techniques against someone of comparable skill in a circumstance that allowed for full resistance was a useful tool in conjuring up the realism of combating someone who has the same objective you do and can use all the same skills you can. It was, in some way, a method of objectively testing one’s skill. If one’s only mode of practice was that of pre-arranged attacks and defenses, it could breed a type of false confidence in one’s abilities. If one was consistently beaten in randori they not only learned from the experience but it made it difficult for them to think they were better then they actually were. Kano viewed this as a positive development, so long as it was kept in balance with the other methods of practice, including kata, and the other facets of Judo (self defense & physical/intellectual education). Once again, things change. Although Kano was hugely successful in his dream of preserving the art he loved and making it an international art, the essential balance between the three facets he envisioned gradually grew out of balance (despite his efforts and wishes). The sportive aspect of the art became the priority and focus. Gradually the other aspects of the art were seen as less important or sometimes even a nuisance. 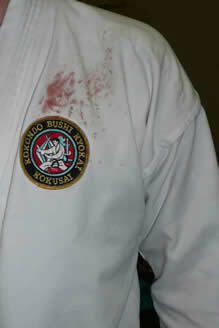 The kata training in Judo today is often viewed as an obstacle to get through in order to achieve rank. Some Judo-ka, no longer practice kata at all or even basic self defense attacks. The sensei is often times no longer referred to as sensei but rather as “coach.” The ultimate goal of judo seems to be success in competition. The positive aspects of randori in terms of self-defense benefit have been greatly minimized due to lack of balance between the other methods of practice. One can view the cleanliness of technique form early Kodokan Judo footage to today’s modern judo and most certainly see techniques that are no longer designed to be effective in combat (and randori) but exclusively effective for competition. The standard for what was once considered clean and effective technique has most certainly changed. In 1959 a young American martial artist and marine who had practiced both a little known family form of classical jujitsu (sanzyuryu jujitsu) as well as Kodokan Judo saw the need for change. Shihan Paul Arel saw that not only was Judo becoming out of balance but there were also attempts by some Judo instructors to pass off instruction in the art of ‘jujitsu’ by simply incorporating a few sloppy strikes into the Judo syllabus. A young Shihan Arel began to formulate an approach to jujitsu that took the many positive changes and innovations that Kano had developed in the art of Judo (coupled with contributions from other sources) and reapplied them back to the original art and intent of jujitsu. 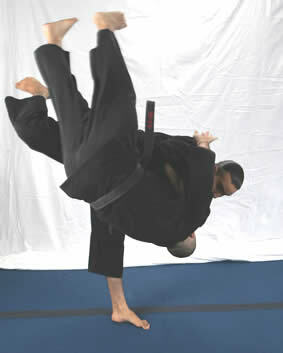 Shihan Arel began calling this unique approach, Jukido. Although the art of Jukido has certainly evolved over time as Shihan Arel himself has evolved as both a martial artist and sensei – his intent wasn’t necessarily to create a new “style” of jujitsu. Rather, it was simply a name that he thought was consistent with the approach and refocus he wanted to bring to the art. 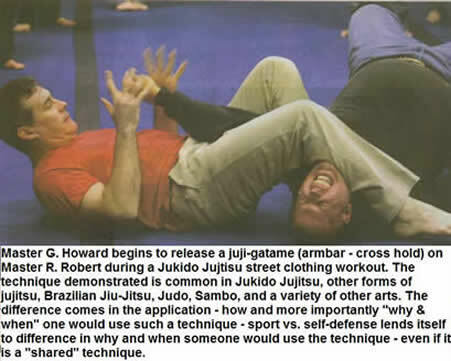 By utilizing a unique name it highlighted that this wasn’t the current form of Judo that was popular on the tournament circuit and it certainly wasn’t a form of judo that occasionally taught a few striking techniques and called itself “jujitsu.” This was something unique – it was traditional, yet new. It’s intent and principles were influenced much more heavily from the “past” but at the same time recognized and embraced the necessary changes to meet the demands of modern self defense. Additionally, the art of Jukido gladly embraced the positive changes that were brought on by Judo (such as safety in training, ukemi waza, ranking systems, etc.). From the beginning the approach of the Jukido school of Jujitsu was always geared toward intent of original jujitsu, combat effectiveness in real encounters. This truly made and makes Jukido Jujitsu unique in it’s approach. It is not a classical system of jujitsu, but it is certainly traditional in it’s ideology. It embraces the best of the past and the best of the present in jujitsu training. 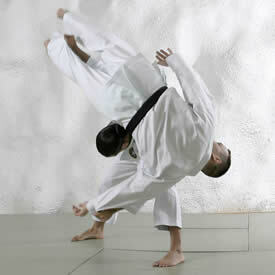 Jukido Jujitsu does include a specialized form of randori in its training regimen, but the intent is not sport. In addition to being emphasized as an area to have fun within a very serious system of self-defense, it does allow for some of the same qualities that Jigoro Kano desired for the study of randori. 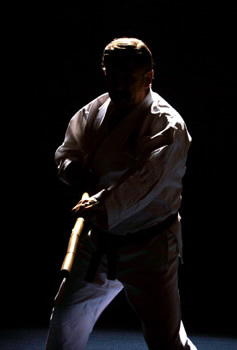 Mainly, it allows students to develop that area of technique and allows one to feel (to some degree) the realities of facing a skilled opponent in an environment of non-compliance and full resistance. Unlike many schools in modern Judo, Jukido continues to utilize kata as a central and inseparable part of practice. Self-defense effectiveness is the ultimate goal of Jukido Jujitsu as it pertains to the physical aspects of the art. As such, pre-arranged and random self-defense training at a variety of intensity levels is a major aspect of Jukido Jujitsu training. Jukido surely adopts the Kano philosophies of seiryoku zen’yo (best utilization of energy) and jita kyoei (mutual benefit and welfare) as a part of the training environment. However, it does not allow these philosophies to water down its combat effectiveness, as in most schools of Aikido. In many schools of Aikido a beautiful and dynamic art is taught, but in most honest assessments the art is not directly applicable to realistic self defense with an attacker who is non compliant and fully resisting. 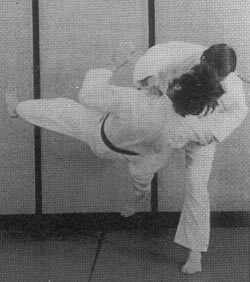 Jukido includes almost the entire nage-waza (throwing techniques) of Kodokan Judo, although some throws are eliminated that are designed solely for competitions and are dangerous to utilize in actual self defense. 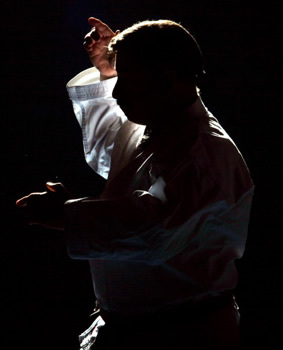 The methods of practice, such as uchi komi and nage komi are emphasized, as are the principles of kuzushi (off-balancing), tsukuri (set up), and kake (execution) in Jukido Jujitsu. 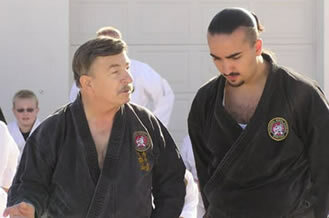 At higher ranks, older style jujitsu techniques are also incorporated under close supervision of senior instructors. A key difference is that these throws are not relegated only for formal position practice. 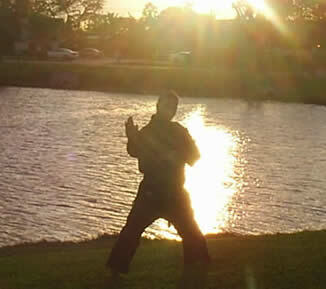 These throws are always taught within the construct of pre-arranged self-defense techniques and gradually in random self-defense situations with increasing levels of resistance from training partners. 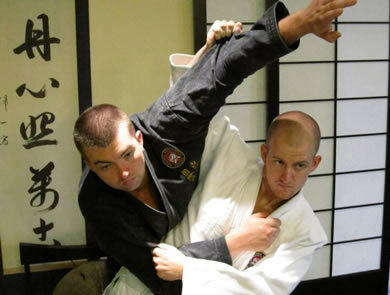 The ne-waza (ground fighting techniques) common in Judo are also taught in Jukido Jujitsu. However, here again the objective is not necessarily to out-grapple the individual for the sake of a hold-down pin or joint lock. 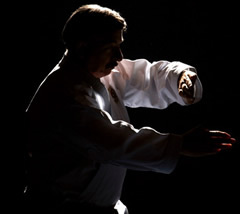 These techniques are applied always in the broader context of comprehensive self-defense. Jukido Jujitsu also has grown to incorporate the basics or kihon-waza of karate in a way that does not conflict with the principles of jujitsu. 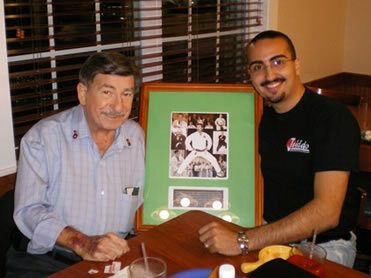 As I sit here and write this, I wish that there would be a single story or memory that I could recount to provide testimony to the extraordinary life that Shihan Arel lead. I can’t. Perhaps this is because there are simply too great a number of lasting memories of such a wonderful man to be contained in just a single story or two. Since that time I’ve utilized that quote in many ways and have tried to extract the simple, yet powerful, meaning behind these words – both as a man and as a martial artist. In fact, in many ways, it has shaped my path in Kokondo in a significant way. When I think about Shihan Arel, I can’t help but think of these words yet again. He was uniquely the strongest man and the gentleness man I’ve ever known. Just three weeks ago, Shihan Arel taught the final seminar & classes of his nearly 59-year devotion to authentic martial arts. I am overcome with emotion and honor to think that this happened in our Florida dojo. 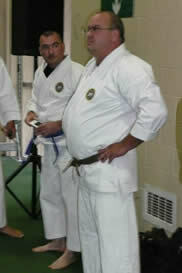 To think that at the end of this session, he promoted three of our students to the rank of black belt. The final dans he promoted were students of mine… How can one express the sense of gratitude, obligation, and honor? This trip was difficult for him and it in my heart I knew it would be his last. However, you wouldn’t have known it simply talking to him and receiving his masterful instruction. At this seminar and throughout his life, he showed me real strength – strength through gentleness. At his weakest physically, he was stronger then I had ever seen him. He was the definition of a warrior. His life was an living example of Bushido. We’ve shared many moments together, but these final days together were of immense significance as he expressed his pride in me personally and in our dojo in such an emphatic way. Shihan Arel always believed in doing one’s best and stressed this simple, yet powerful, theme often. Every time we say “Ossu!” we shall remember him. We loosely translate “Ossu” as any type of positive acknowledgment. Ossu is taken from two Japanese Kanji that means to “push through” or to “persevere.” The spirit of “Ossu” and the repeating of Ossu is to encourage all to keep doing their best, to keep pushing forward, to preserve despite hard training or hard times. 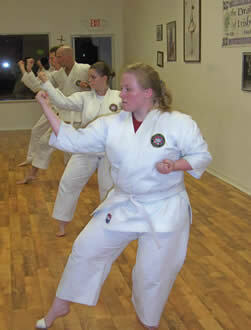 In the spirit of Shihan Arel’s mighty “Ossu!” – we must do exactly that. We must continue to push the growth of his arts and to preserve. He is not here, but his legacy and spirit will live on forever. 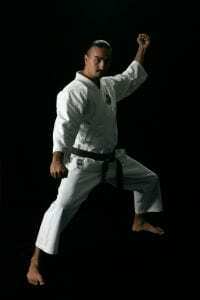 Shihan Arel, My Sensei, My Hero…. I miss you so much. 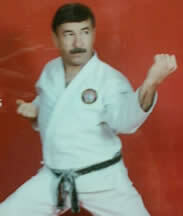 I love you sensei. Until we meet again.